Just two weeks after the Department of Justice (DOJ) announced a suspension of the Legal Orientation Program (LOP), Attorney General Jeff Sessions testified today that DOJ will reverse course and continue the program—at least for now. The announcement was made while testifying before the Senate Appropriations Subcommittee on Commerce, Justice, and Science, which oversees the budget for the entire Justice Department. The department’s budget includes the nation’s immigration courts and the LOP. Started in 2003 under President George W. Bush with bipartisan support from Congress, the LOP currently operates in 38 detention facilities throughout the country. Although participation in the program is no replacement for representation by an immigration attorney, it provides important information to roughly half of the detained population. DOJ faced intense pressure from Congress over the decision to “pause” the LOP. The announcement to end the program prompted swift backlash from Capitol Hill, with a letter from a group of 21 Senators and a rare bicameral letter from all Democratic members of the House and Senate Judiciary Committees to the Attorney General objecting to ending the program. This week, the American Immigration Lawyers Association (AILA) and the American Immigration Council additionally brought to light an independent evaluation by Booz Allen Hamilton. The independent evaluation—which was commissioned by DOJ itself—recommended expanding the LOP due to its efficiencies. The recently passed omnibus appropriations bill, which funds the federal government through the end of Fiscal Year 2018, also contained report language directing the Executive Office for Immigration Review (the DOJ office that manages the immigration court system) to continue ongoing programs. In addition, the House of Representatives committee report that accompanied the House appropriations bill specifically directs EOIR to sustain the LOP. DOJ’s initial announcement to suspend the program appeared to directly contradict these clear directions from Congress. Sessions did not rule out attempting to end LOP in the future and noted DOJ would be conducting a cost effectiveness and efficiencies study. 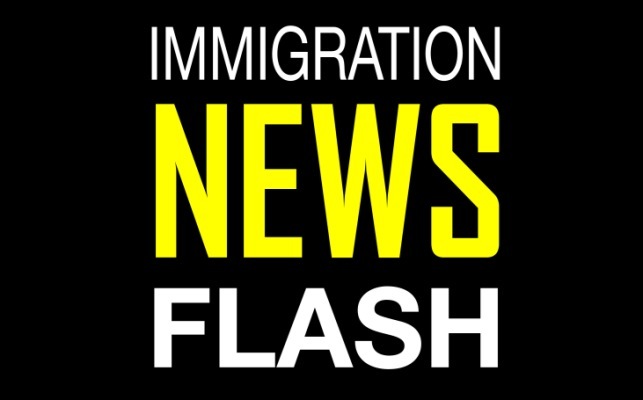 A previous DOJ-commissioned study from 2012 found that LOP reduced the amount of time to complete immigration proceedings by an average of 12 days and saved the federal government a net savings of approximately $18 million. The Attorney General’s announcement made no mention of the immigration court “help desk,” created in 2016 to provide basic information about the court process to non-detained immigrants facing deportation in five cities, which DOJ had also said it was terminating two weeks ago. It appears that significant backlash from Congress, the merits of LOP, and common sense carried the day with the Trump administration for now. It will be important for Congress to remain vigilant and clear about its desire to keep this important resource up and running.